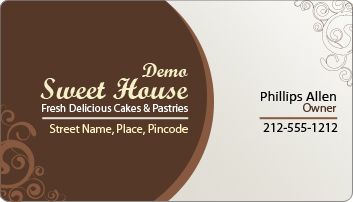 Stir your inner cake boss with these custom 2 x 3.5 bakery business card magnets round corner – 25 MIL! 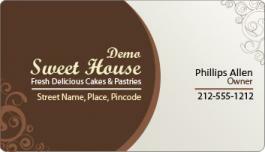 Being ideal for marketing and advertising, these bakery business card magnets are sure to get you popular with your targeted customers. Being printed on high quality glossy paper, these magnets are sure to stir interest with its full color printing. You can hand it over to customers along with their orders or during food fests or even mail it to regular customers as part of anniversary celebrations or any other occasion. Request a quote to know discounts that you can expect on large orders of these promotional 2 x 3.5 bakery business card magnets round corner – 25 MIL.